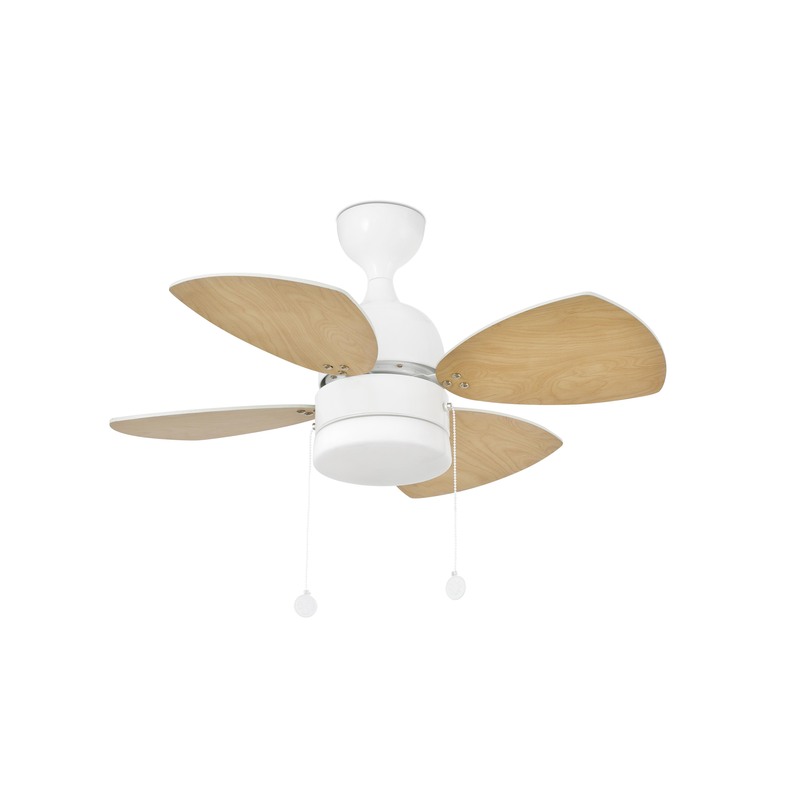 Ceiling fan Mediterraneo White 81.5 cm / 32" with light Ceiling fans for domestic and professional environments Ceiling fans with lights < 100 cm / 40"
Ceiling fans are popular home appliances. The unique Mediterraneo in white covers all your needs regarding pleasant indoor climate and stylish interior decoration in small spaces. With just about 81.5 cm (32 inch) width this compact miracle creates a breeze powerful enough to provide cooling in summer. 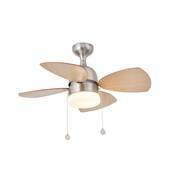 From top to bottom this fan light measures a mere 38.5 cm (15 inch), so it is not too obtrusive. The Mediterraneo in white has a forward and reverse feature, meaning by using a slide switch on the housing the running direction of the blades can be changed. This ensures cooling in summer and heat recovery in winter. 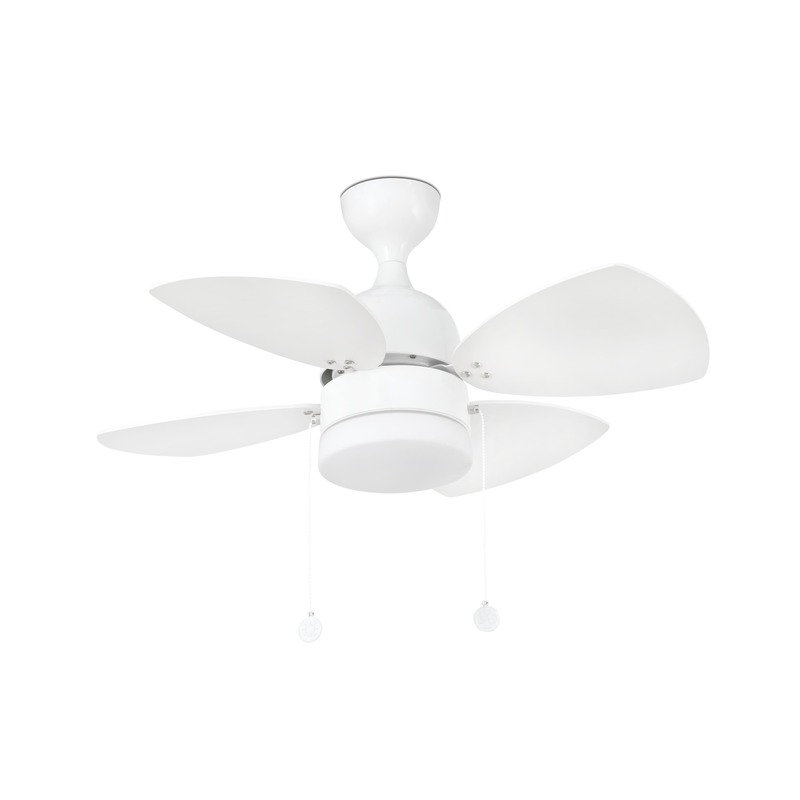 Two separate pull cords control three fan speeds (185 – 275 revolutions per minute) and the light fixture, both the fan and lighting can be used individually. 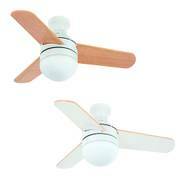 This ceiling fan consumes little power (13 – 46 Watt) and operates on a whisper quiet level. An optional wall controller or remote control can be added to bring more convenience. The Mediterraneo has a sleek white steel housing and comes with reversible MDF blades in white and maple, adding a Mediterranean touch to your home. 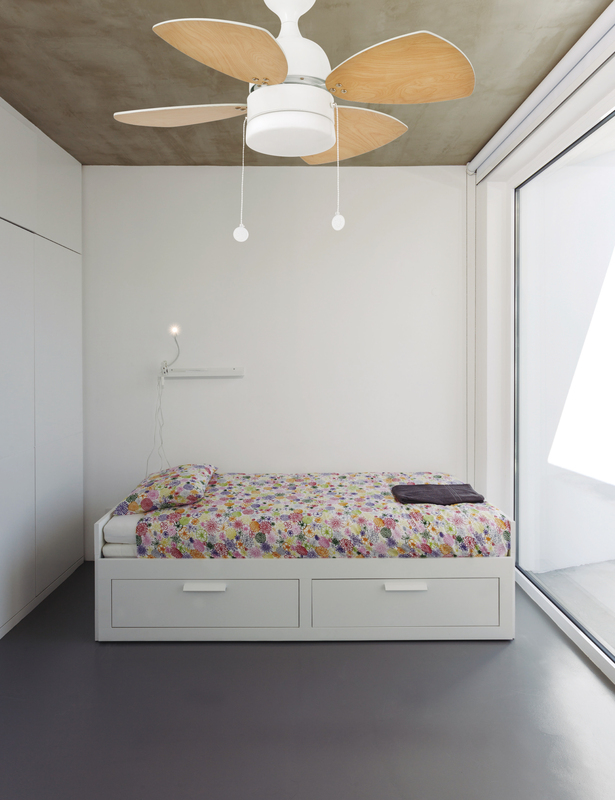 This ceiling fan with lighting cannot be mounted to pitched ceilings. 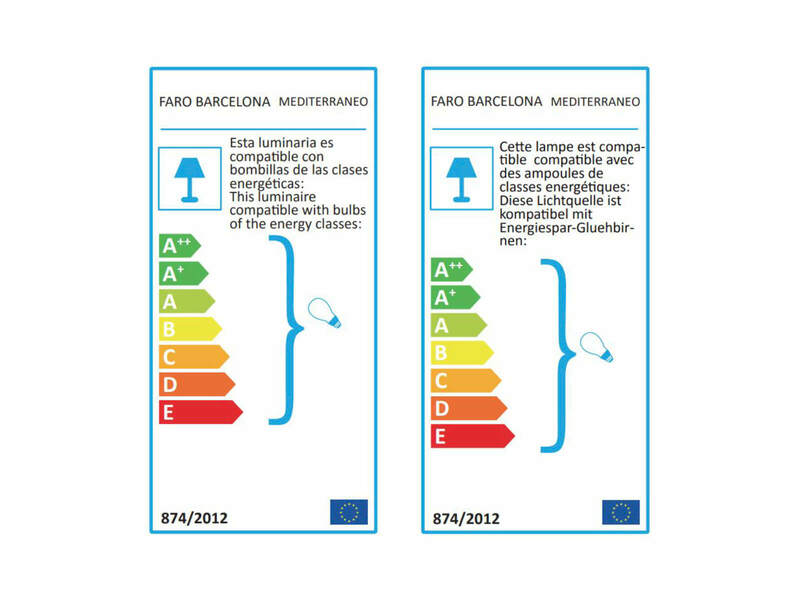 The light fixture is suitable for bulbs of the energy class A++ with an E14 base (not included). The manufacturer furthermore grants 15 years limited warranty on this quality product.